It’s one of biking’s oddities that people gush over big singles when they are stashed in a trail-style chassis – think Honda Dominator – but look the other way when they are in a dedicated road bike such as the Dominator-powered SLR650. The thinking is that a 650cc thumper is fine in a trail bike that is hard-pushed to do more than 100mph (nobody makes very fast trail bikes). A 650cc road bike, however, finds itself competing with twins, triples and fours, where you seemingly get a lot more bang for your buck. However, there are plenty of reasons for liking road thumpers. They are different, fun, incredibly cheap and easy-to-run and because people tend to overlook them, demand is low and so are prices. They tend to be small and low, so if you are small and short-legged yourself you might find you fit one perfectly. Most of the old 1970s and 80s things are pretty humdrum. Yamaha’s SR500 is astonishingly long-lived, and still with us as a 400, but it is kick-start only and is slow even by thumper standards. Cagiva made something called the River in the 1990s in a 500cc and 600cc guise. A sort of beginner’s Deauville, it had panniers and screen as standard but combined slug-like performance with horrible looks. A dealer I knew once ran one as a loaner and wryly called it the ‘discourtesy bike’. 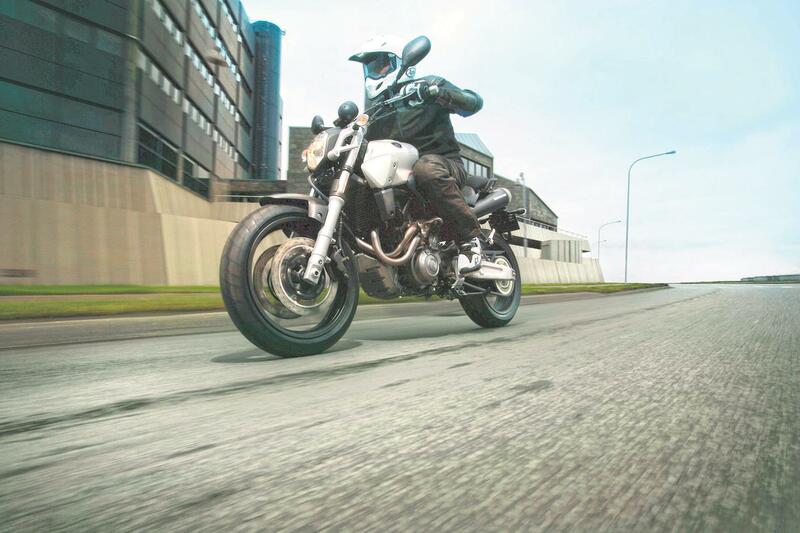 No, there’s really only one contender – the Yamaha MT-03. With a 4v 660cc engine, (not to be confused with the later 300 twin) you can get a super low-miler for under £2000 – or at least £500 less than an equivalent Ténéré and it’ll make you grin every time you ride it. Hunt around the MCN Bikes for Sale and you’ll get a single-minded bargain.